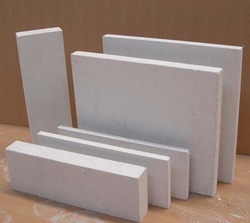 We are concerned in an offering of Calcium Silicate Blocks. The raw elements for calcium silicate bricks introduce lime mixed with quartz and pulverized flint or crushed siliceous rock mutually with magma colorants. The elements are consolidated and keep it until the lime is perfectly hydrated and the dough is then pressed into the molds and cured in an autoclave for two or three hours of time to promote the chemical hardening. The complete bricks are very precise and uniform. The bricks can be made in a wide range of colors in that white is common but pastel colors can also be produced. We are offering to our clients, a high quality range of Stainless Steel Products under our road construction equipment, stainless steel anchors, which can constantly bury deep and hold firm in unfavorable weather conditions. Having unique self righting features, these are easily recoverable from the bottom. The anchors we offer are made of high grade steel and can be provided in different standards. This Ceramic Fiber Board is prepared in conventional size and which can be customized as per the demands of the buyers. These boards are available with a dimension of 500 x 1000, 600 x 1000. These boards are also prepared with various densities like 260, 330, 230, 200 and many other. These Ceramic boards are surely available in the stores and can be formed as per our conditions. We have achieved expertise in giving a certified range of Ceramic Fiber Board. Advanced range of Ceramic Fiber Board is examined for its quality under the administration of highly trained and skilled quality experts before launching in the stores. It is available in a variety of heat degrees, quantities, densities, amplitudes, and lengths, and a custom vacuum created shapes. Furthermore, our buyers can avail these products at a sensible market value from us. Our products offered ceramic fiber board is famous for its outstanding mechanical power and low organic content. Our ceramic fiber huge board are long-lasting and practically suitable with your innovative idea. Our crops have low thermal conductivity capability to work at different temperature requirements efficiently. We are using pure aluminum silica and zirconia for manufacturing our ceramic fiber board in various forms and structures. Application Areas Expansion joints, packing & sealing, filters for other materials, secondary processing to vacuum formed products. Roller Sealing for Roller Hearth kiln. We are providing a wide range of Fiber Boards to our valuable clients. These products made from Fiberfrax ceramic fibre which is vacuum formed with organic and inorganic binders, with or without mineral fillers. These are manufactured over a wide range of grades densities and hardnesses. 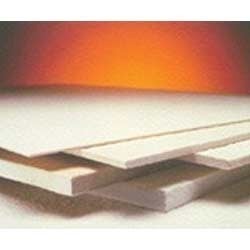 These boards may be used as individual component of furnace linings or as hard hot face layer for Durablanket or as backup insulation Specifications: Boards / Shapes 1) CERVAC - 80 2) CERVAC - Z 3) CERVAC - HS 4) CERVAC - HD 5) CERVAC - S 6) CERVAC - LT Max. use Temp. / Grade °C 1) 1600 2) 1425 3) 1260 4) 1260 5) 1260 6) 1000 Dimensions, mm unless stated 500 x 1000 610 x 914 Other sizes and shapes on request. Thickness, mm 6, 13, 19, 25, 38, 50, 63, 75 Density, kg/m3 (lbs/cuft) 1) 576-640 (36-40) 2) 320-384 (20-24) 3) 720 Min. (45 Min.) 4) 416-480 (26-30) 5) 320-384 (20-24) 6) 280-350 (17.5-21) Thermal Conductivity at mean temp. of 550 °C, w/m °k (BTU-in/hrft 2 °F) (1) (3) : 0.13 (0.9) (2) (5) (6) : 0.11 (0.8) (4) : 0.12 (0.84) Applications Combustion chambers of boilers & heaters Hot face lining for furnaces & kilns Backup insulation to castable & bricks. Ladle covers, Aluminium trough liners, Trough covers, Expansion joints, Hot gas duct lining, Riser sleeves, Crucibles, Launders, Tap out cones, Sight holes etc. Our organization has gained immense recognition by offering a quality assured range of Ceramic Fiber Blanket. Moreover, these fiber blankets are procured from the reliable sources of the market and are manufactured keeping in mind set industry standards using premium quality raw material. 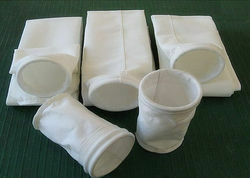 Further, these fiber blankets are also tested on various quality parameters to ensure their durability and reliability. 0.13 (0.9) for 96 kg/m3ApplicationsCrude Oil, Reformer & Pyrolysis heater linings. High temp. pipe, duct & turbine insulation. Tube seals, Gaskets & Expansion joints. Heat treatment furnaces, Reheating furnaces, Soaking pit cover sealing. 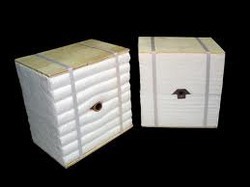 Kilns & Kiln cars insulation & seals. Ceramic fiber paper consists essentially of a tremendous integrity of aluminosilicate fiber and is formed from a fiber washing method. This method maintains the proportion of fiberized leads to a very minimum constant within the paper. Our ceramic fiber paper product highlights characteristics such as nebbish, composition uniformity, and moderate thermal conductivity that serve as a complete solution for high heat lining, chemical corrosion protection, and thermal shock protection. 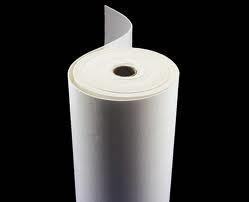 This ceramic fiber paper can be used in multiple examples of refractory and sealing applications and it is also available with a diversity of girths, widths, and heat levels. Our outstanding products have prominent characteristics such as white shade, nebbish, stretchy, much better handling energy, and also good agreement resists heat as high as 2300º F, fire protection, low heat storage, thermal shock resistance, good dielectric strength, excellent corrosion resistance, good for die-cut and automatic stamping. Applications Expansion joints, sealing, wrapping, asbestos substitute. 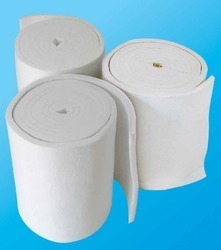 We are one of the leading Ceramic Fibre Blankets Manufacturers, Suppliers, and Exporters across the world. Ceramic fiber blanket is a kind of endless cotton tiled fiber blanket produced from the pure stuff melted at high heat. 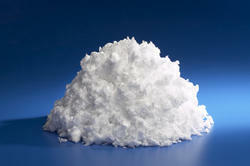 This is also described as Alumina-Silica Ceramic Fiber Product. Ceramic blanket offered by us are a nebbish, adjustable and available in a wide variety of diameters, and densities. Our product is popular for their distinct characteristics like pretty low thermal conductivity, superior handling energy, low heat storage with thermal shock protection and corrosion protection. 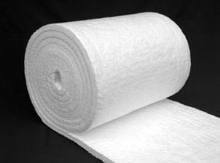 Refractory blankets sheets are possible in roll form in a broad variety of thicknesses. 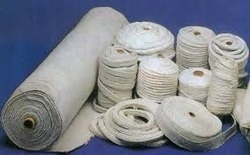 All blankets are made from leading elements such as long refractory fibers, binder free and are needed. They have superior power before and after heating. All blankets have outstanding chemical resistance natural by all chemicals besides hydrofluoric acids and strong alkalies. We, Imperial world trade are concerned in providing excellent quality of Ceramic Fiber Module that is constructed by utilizing the high-quality stuff. These modules are submitted as folded modules in two design arrangements and promoted with a slide channel that is vertical to the folds, sliding onto a disc or clip which is connected to the steel casing. Advanced modules are a complex solution to high-heat insulation requirements in the industrial heaters, boilers, and furnaces as well as various other applications. Thermal ceramics manufacturers are an entire line of fiber module stuff featuring. Ceramic Fibre Modules are constructed from high property required Blanket and Edge Staked among various cramps and other assistants to enable swift, convenient and efficient installation in most furnace linings. These prefabricated modules are designed to match the thermal insulation stipulations of high-heat furnaces. Ceramic Fibre Insulation Modules are made from ceramic fiber, precompressed to a demanding density, and held in place with the peculiar anchors or accessories. While installation, the modules are further pressed and the buoyancy of the fiber and increasing assuring tightly-compressed intermodular connections. Furthermore, we are engaged amidst the forefront Compressed Ceramic Fibre Modules Exporters. 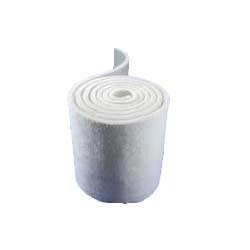 Looking for Ceramic Insulation Products ?